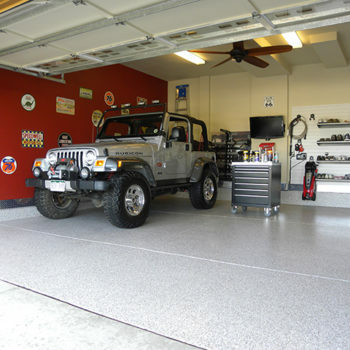 Give your garage a GLOBAL makeover! 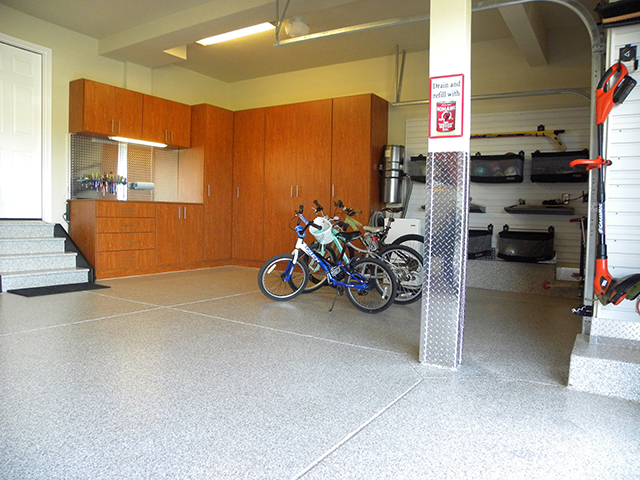 The garage is evolving from a once dusty, cluttered, and neglected space into an exciting focal point of the home. 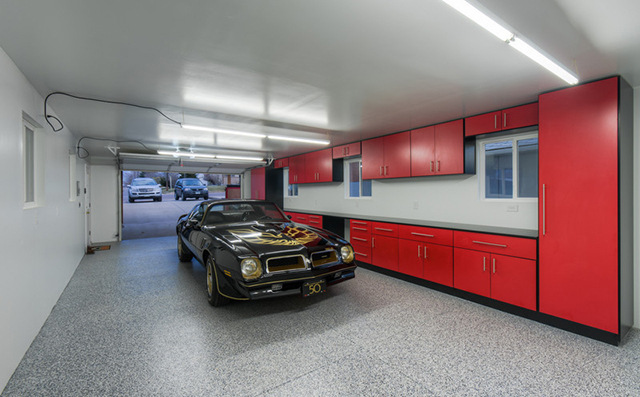 No longer just a place to park your car, the garage provides a unique opportunity for homeowners to add value to their home while dramatically enhancing the appearance and comfort of your home’s main entry. 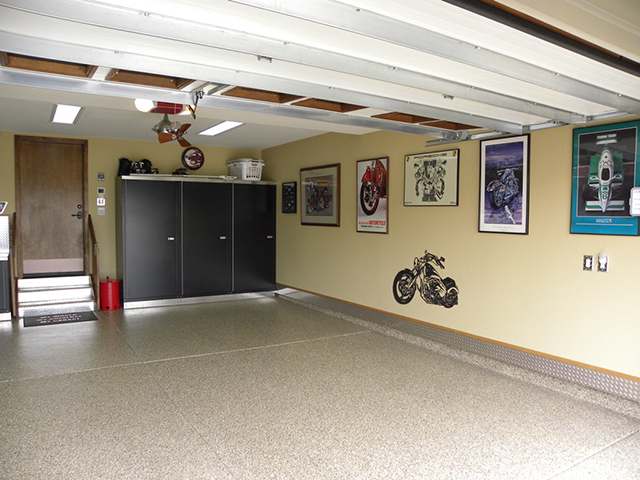 It’s not just a garage… It’s the first thing you see when you get home! 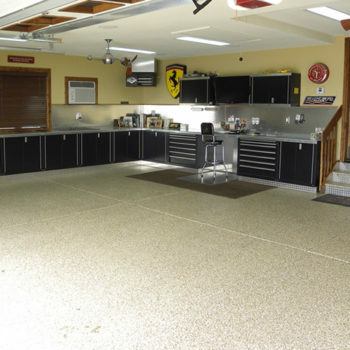 Our most popular, and most durable, coating for garage floors is our simulated granite polyaspartic system. 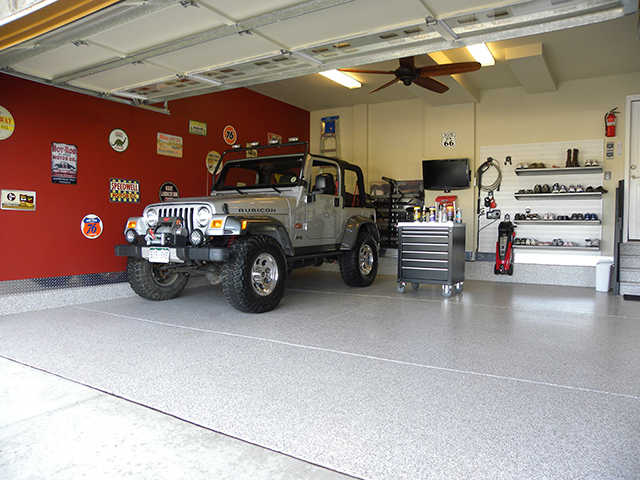 With a patented 1 day installation, foot traffic can occur within hours and the garage can normally be returned to service the following day! 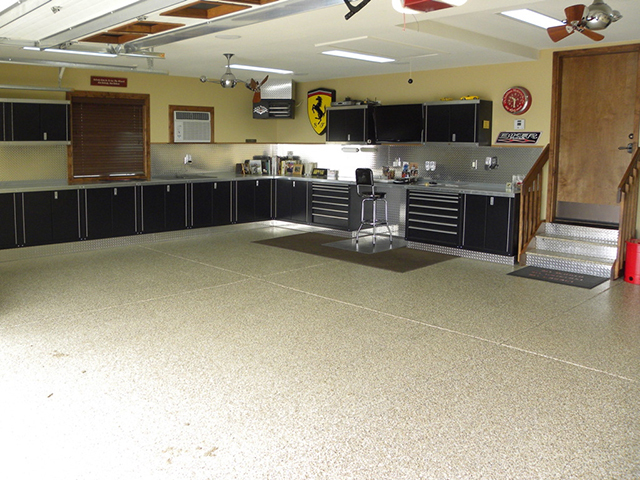 Looking for a flooring solution for your basement? 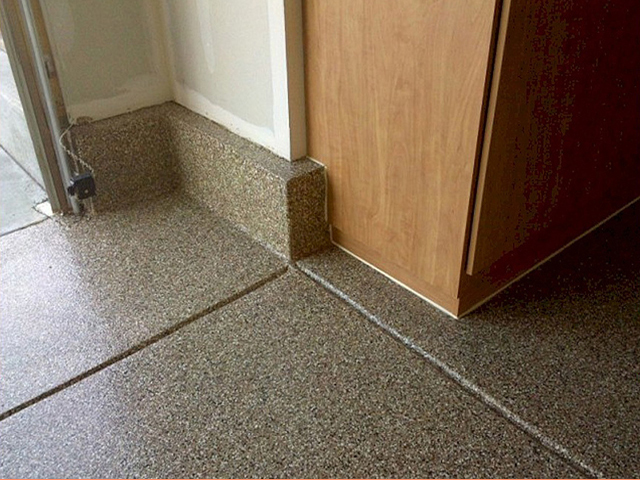 We can apply our 1 day polyaspartic coating system to concrete basement floors with the simulated granite style, a solid color, or a metallic style coating for a truly unique look. 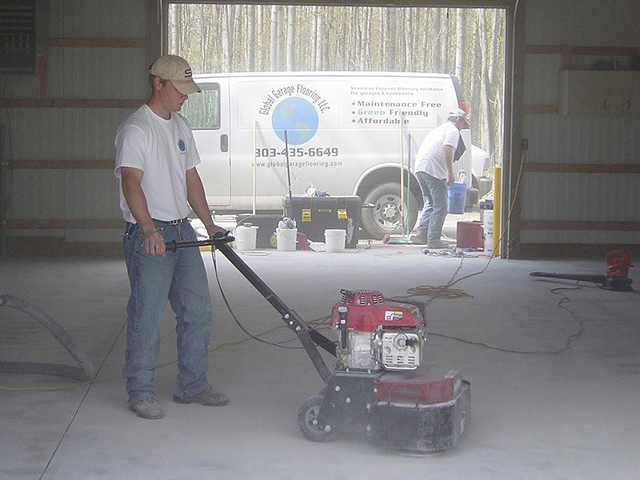 We utilize low odor materials and vacuum equipped grinders when working inside your home. How is Global Garage different from other companies? 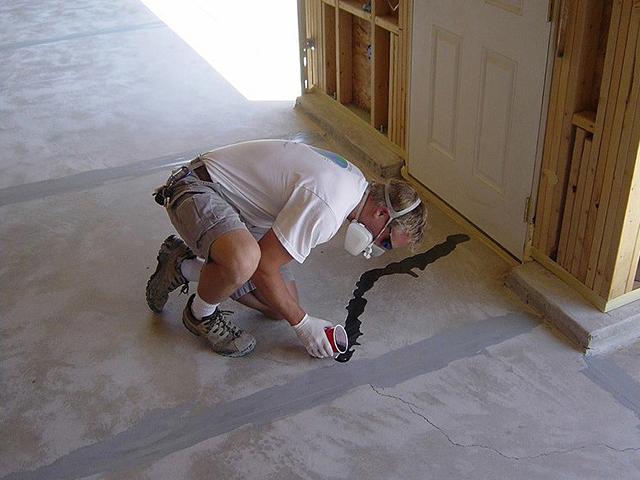 Polyaspartic primer is better absorbed into the concrete, achieving a better bond than “painted on” epoxy. We apply subsequent layers while wet, creating a better bond between the layers than recoating dry epoxy. 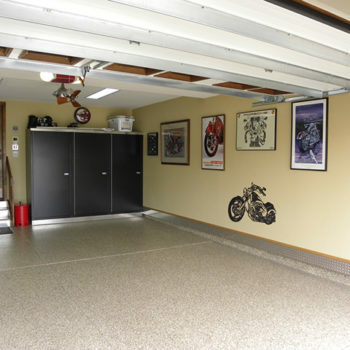 This is the system recommended & specified by the manufacturer and Global Garage is the original applicator of this system. 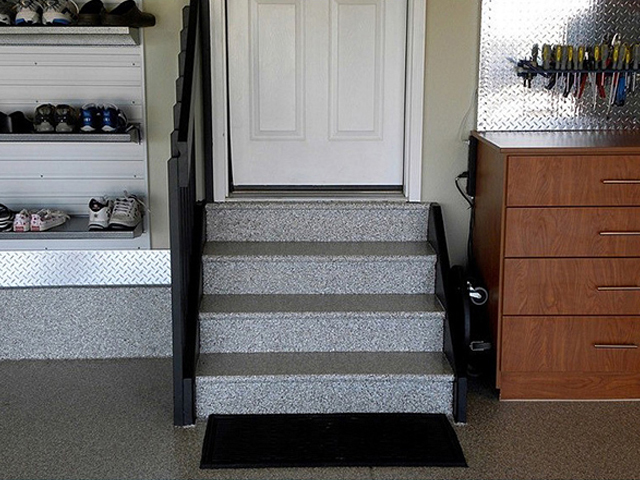 We pay attention to the details such as fixing cracks, sealing joints, seamlessly sealing slabs against walls, coating steps and stem walls, and creating a proper texture with the flake for slip resistance. We begin by diamond grinding the concrete to remove the smooth surface and open up the pores to allow for better adhesion. We fill and seal cracks or imperfections in the concrete. 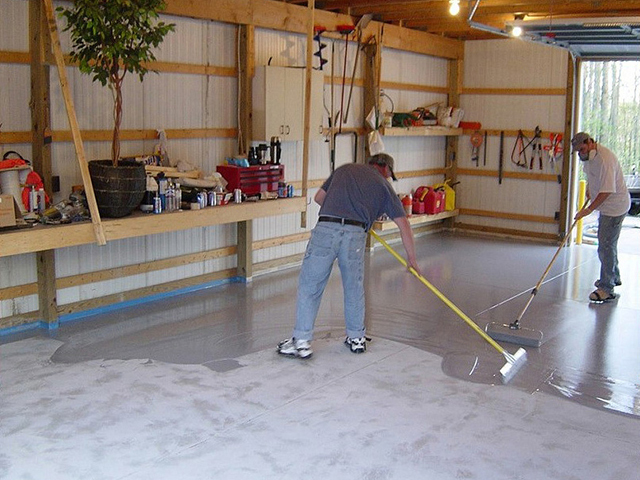 The first coat of polyaspartic is rolled into the concrete and the colored flake is broadcast across the floor. 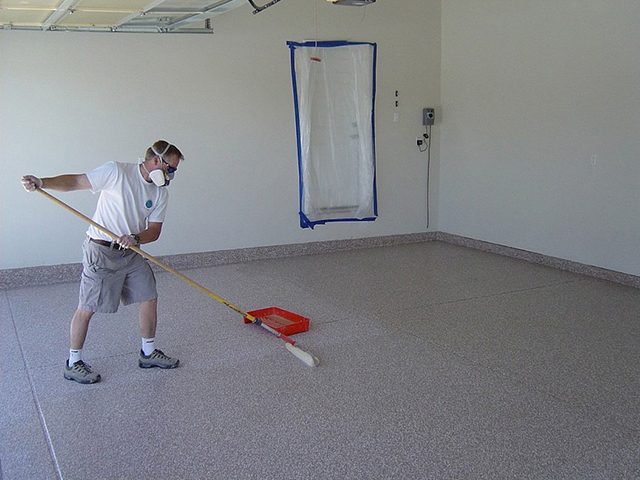 The floor is scraped to achieve the desired texture, and then swept to gather the excess flake. The final clear coat of polyaspartic is then applied to seal the entire system.